Angst is a 43-minute film that explores anxiety, its causes, effects and what we can do about it. 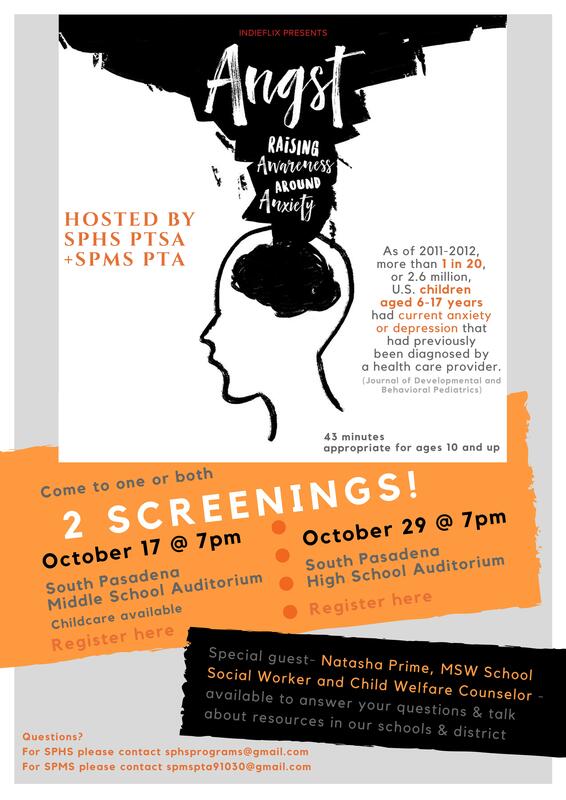 SPHS PTSA & SPMS PTA have joined together to bring this film to the South Pasadena community in TWO SEPARATE screenings. Parents, students, all are welcome! Appropriate for ages 10 & up. Then join our special guest- Natasha Prime, MSW School Social Worker and Child Welfare Counselor -to answer your questions & talk about resources in our schools & district. Be a part of the Reflections Art Program for SPHS. This amazing program increases community awareness of arts in education. The official rules, general rules guide and entry form are now available in the office. Let the fun begin! Download the entry form and guidelines HERE. 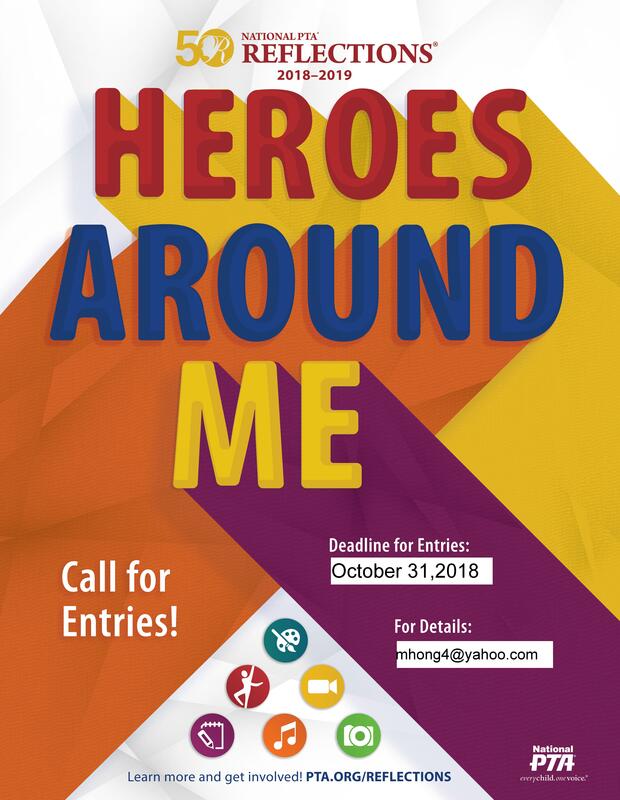 For questions, please contact Monica Hong at mhong4@yahoo.com. On behalf of the SPHS PTSA Board, I would like to welcome back returning families and welcome new and freshman families to SPHS. I hope you all had a great start to this school year. The SPHS PTSA has been hard at work making sure that the 2018-19 school year is the best it can be. Thanks so much to Lynn and Dean Serwin for being our Registration Chairs. As well as all who attended and helped with our Welcome Back Coffee and those that attended our first General Meeting and “All Things SPHS” forum. 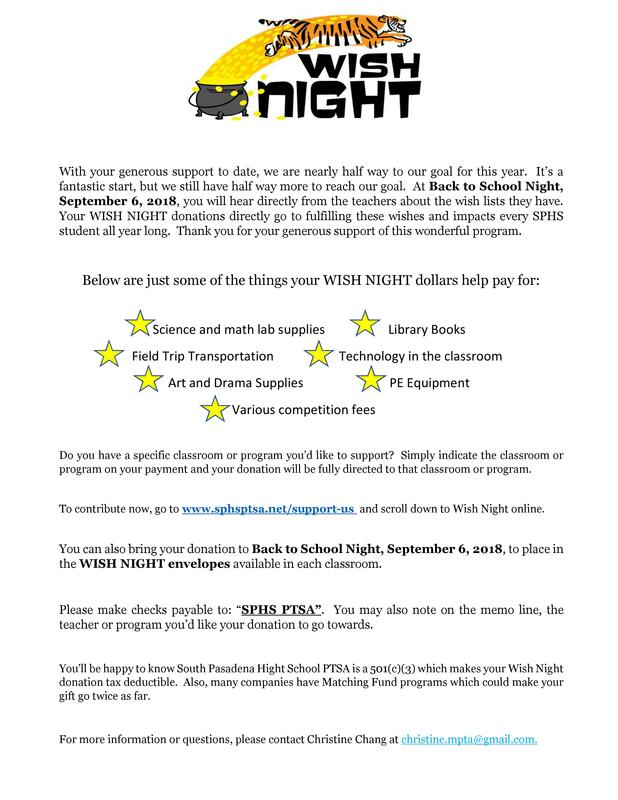 Up next, we will see you on Thursday, September 6th, for Back to School/Wish Night. 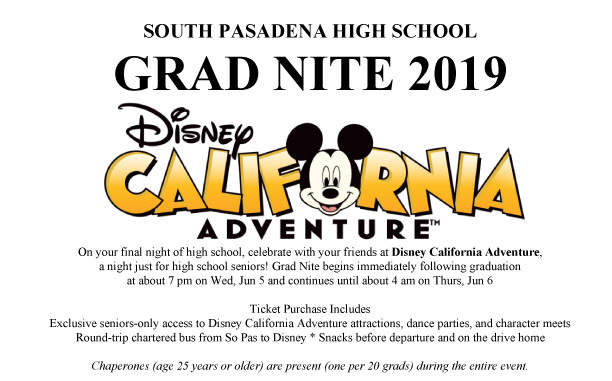 We hope you get the most out of visiting with our fabulous SPHS teachers and learn about their Wish Night needs. Below, please take a moment to read the informational flyer from our Wish Night Chair, Christine Chang. 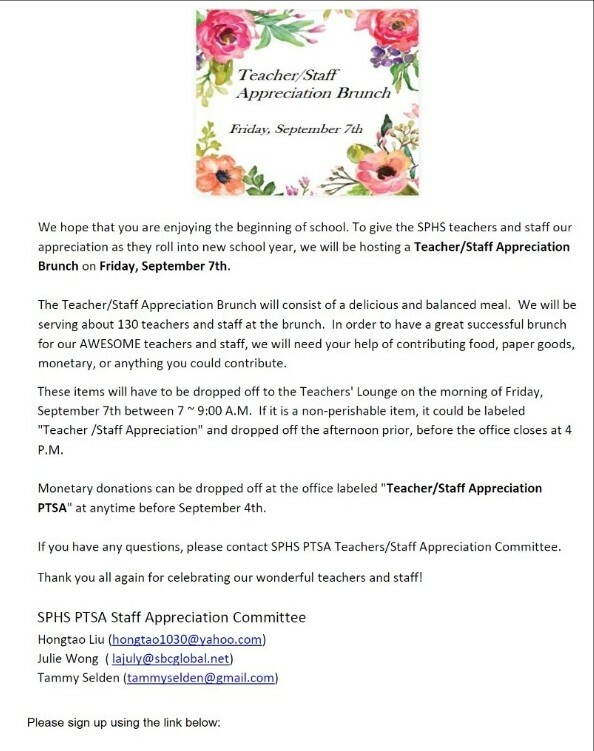 You will also find a link to donate items for our first Teacher Appreciation Brunch of the year on Friday, September 7th. Thanks in advance for all that you do for SPHS.